Casa Chilhue, Castro, Chile : Rezerwuj teraz! 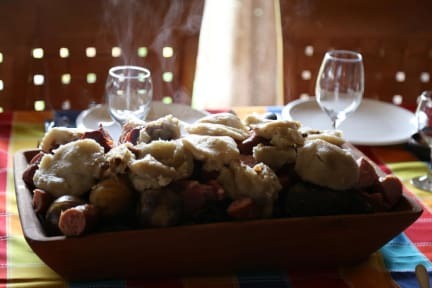 Casa Chilhue is a place were you can feel embraced for the people from the south, feel the warmth and the comfort of a Chilote House, and the advantage of being located in the centre of everything when you visit Chiloe. Casa Chilhue is a family house, were our spirit is to welcome our guests, delivering a comfortable and friendly place, a place where you can spend your days resting or start your daily trips to all the attractions in our beautiful island. 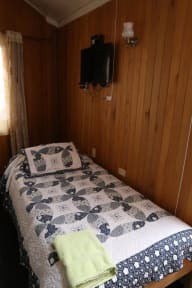 A great advantage of our House is the fact that it is located in the centre of Castro, two blocks from the square, the Church and the bus terminal of Castro, the heart of the island of Chiloe. From a gazebo in front of the House, a world heritage church, municipal market, bus terminals, all from 2 to 6 blocks, you can enjoy the whole island and its panoramas. In summer and when there is availability, you can enjoy rich people in the House, renting bicycles and walks. From shared and comfortable rooms, to double rooms with private bathroom. In any of them you will feel the comfort and warmth of a southern home. Enjoy our rich breakfast every morning.